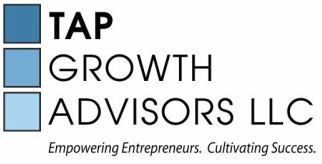 TAP Growth is uniquely positioned to deliver top notch business advice blended with personalized coaching, tailored to our clients specific needs. TAP Growth guides professionals as they relaunch their careers through entrepreneurship, consulting and strategic volunteering. The TAP Growth team has worked extensively with small businesses and entrepreneurs and truly understands the practical realities and challenges business owners face. What sets TAP Growth apart is our ability to blend our business acumen with a deep understanding of the needs and desires of our clients. TAP Growth delivers customized action plans to meet highly personal individual business goals. Jane Veron is CEO and co-founder of TAP Growth Advisors, a firm devoted to career reentry and career reimagination through entrepreneurship, consulting work, and strategic volunteering. Jane also runs The Acceleration Project (TAP), a nonprofit that mobilizes professionals to advise struggling small businesses. ​Like so many of TAP Growth's clients, Jane had a high powered career in management consulting, strategy and marketing, working with top tier firms and Fortune 500 companies. For a while she juggled motherhood with the demands of her career but ultimately found the situation untenable, despite the earnest accommodations of her employers. She reinvented herself as a leader in local government holding many high profile positions. Along the way, she worked with incredibly talented professionals, many of whom had taken time off from their careers. She had a vision: she wanted to build an organization to harness this untapped potential to make economic impact. She launched TAP Growth Advisors to meet the demand from budding entrepreneurs and small business owners.